At Just for Kids we pride ourselves on providing children with the highest quality care and early education possible to give them that head start in life. This is achieved through our interactive and educational programs. Our School Readiness program highlights our commitment to maximising learning opportunities for the children through both structured learning sessions and play based learning. Throughout our school readiness program, children are exposed to a range of experiences that support and provoke the learning and exploration of skills and concepts such as Mathematics, English, Science, Social skills, language and literacy and so much more. 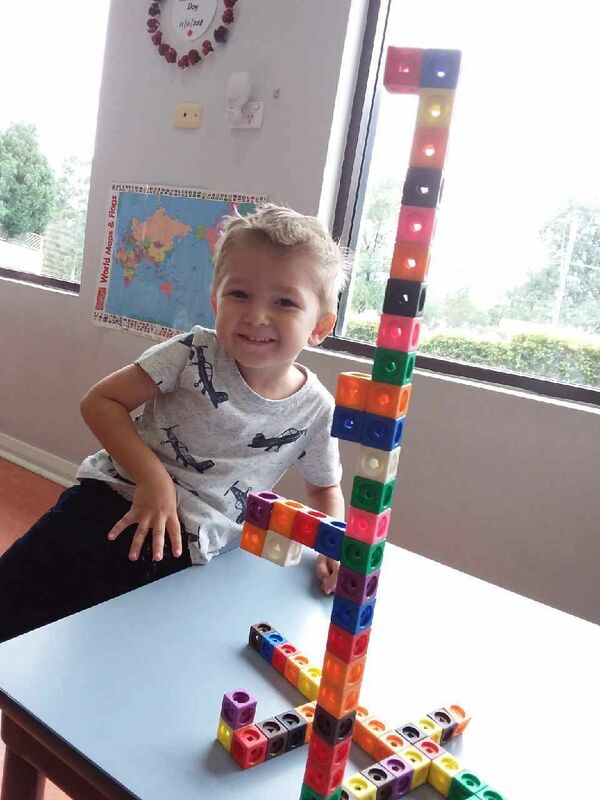 Our School Readiness program has been designed by our Early Childhood Educators who work closely with local primary schools to design and implement a School readiness program that is not only educational but lots of fun! Our daily routine allows for our Educators to spend time with the children each day focusing on their School readiness skills, independence and social interactions, to ensure each child develops the necessary skills required for a smooth transition for formal schooling. Each child will be presented with their own school readiness workbook. These workbooks have been designed by our highly qualified Early Childhood educator’s and are designed for 2 age groups. We have a workbook designed for introducing basic writing skills for our younger age group and a more intense workbook for our children who will be preparing for primary school next year. We conduct 2 separate group times based on age and ability to ensure that learning is age/stage appropriate to keep the children engaged and interested. Comprehensive pre-school readiness curriculum. This curriculum will run continuously throughout the year, building on the children’s skills and confidence as well as introducing new skills and concepts. Close liaison with local schools to ensure a smooth transition for both children and families. Children will be invited and encouraged to participate in weekly “News” or “Show and Tell” sessions based on our letter of the week activities. Lunchbox Week: During November we invite children to bring their lunch packed from home, just like they will at “Big School”. Our educator’s will provide information to families on lunchbox ideas and healthy snacks. Social play sessions such as group games, songs, discussions and so much more. Independence- we support and encourage the children to develop a strong sense of self confidence and this is achieved through self-help skills such as serving own meals and snacks, pouring own drinks, accessing own belongings and taking care of these also. Please feel free to speak to one of our friendly centre directors if you have any questions about our Preschool program.